We are fortunate to have such a wide variety of independent schools in our area, offering a range of educational experiences. Once you’ve found the school that’s the right fit for your child, your next step is to look at financing this choice. 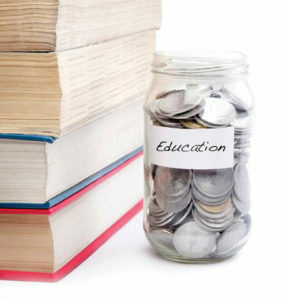 Each school has its own policies for tuition and financial assistance. And although responsibility for tuition costs rests primarily with each family, almost all schools offer need-based aid and scholarships to help make that dream school a reality. There are more options than many parents imagine. Unlike tuition-free public school, private schools have many different tuition options—some with lower tuition than others and most with lower tuition in lower grades. Catholic schools are, on the whole, less expensive. Bishop Shanahan High School, for example, charges under $10K annually—even less if you’re Catholic and have more than one child enrolled. Other Catholic schools—such as Villa Maria Academy, Notre Dame Academy, Sacred Heart Academy—generally charge above $10K for kindergarten and top $20K for upper school. Devon Prep’s tuition also increases from middle to upper school. Throughout Chester, Delaware and Montgomery Counties, independent school have annual tuition costs ranging from about $10K to the $30K range. For example, Church Farms School, an Episcopal school, charges under $20K, and that’s before tuition assistance, which 90% of the families accept. Nearly every school offers payment schedules for tuition costs, allowing families to avoid a lump-sum payment. Even so, $20K or $30K is a significant family expense. Your family may want to consider financial aid options. Financial aid is more common than many parents think. Some schools—The Hill School, Westtown School, Episcopal Academy, for example—dispense more than $7 million annually. At Westtown, nearly half the students take some measure of assistance. Similarly at The Hill School, about 40% of its students get financial aid. More commonly, about a quarter to a third of the student body gets some assistance—mainly to upper school students. Still, there’s help for quite a few families. The grants awarded to students can be substantial. Malvern Prep, for instance, reports the average grant is nearly $15K, almost half the tuition bill. Similarly, The Hill School provides almost $22K of aid, though that goes for boarding expense as well. Tower Hill and Wilmington Friends provide about $12K on average. In general, financial aid decisions are entirely need-based and separate from admissions decisions—much like some colleges. Each school manages its own requirements, but most follow the same basic process. The family files a Personal Financial Statement (PFS) together with supporting statements, such as your 1040, W-2s, K-1s, 1099s, mortgage statements, etc. These documents are sent to School & Student Services (SSS), which makes a recommendation about whether and how much assistance you will need. This is an annual decision: you may apply each year if circumstances change. The application process itself is online, costs $49, and is supported by a helpful web seminar (about 30 minutes). The application form is simple (but lengthy) and asks about your income and expenses: standard stuff. If your situation is at all unusual, it’s recommend that you answer the optional question 20, which provides an opportunity to explain special circumstances and why you need aid. What will come of your application, assuming you’ve met the deadlines—they vary by school but most are in mid-January and early submission is recommended—is a recommendation regarding your financial need. You can then discuss the SSS’s recommendation with a school financial officer. Hopefully, the school will provide enough for your family. No matter your child’s talent, the school will look at your family financial situation and make a decision on that basis. In general, the process is almost entirely need-based and virtually blind to the student’s or family’s unique circumstances. There are, however, a few scholarships available. Mary Kay Napoli, Director of Admissions at Villa Maria, reports that 22% of its students benefit from its need-based Marian Grants. To be eligible a student must do well in class and score in the 97th or 98th percentile on the entrance exam. She can also take advantage of an IHM Charism Scholarship—partial grants for students who demonstrate Villa Maria’s ideals of “fidelity, creative hope, and love.” Leadership, service, character and academic performance are also considered. In addition, there are music and art scholarships. Similarly, at Archmere Academy, Director of Admissions Andrew Cocco says about 70% of its students get need-based aid, including grants. A student must score in the top 15% on an admission exam to be eligible for the up-to-$2,000 grant. Need-based aid is also common at Westtown School. However, the school offers merit scholarships as well. Averaging $5,000 per year, they’re awarded to “exceptional students” in academics, leadership, the arts, athletics and global engagement. About 5% of students get those awards. There’s also a Sarah Barton grant, for which Quaker students may apply. Military families will find favor at The Hill School. Chris Bala, Director of Financial Aid, reports the school offers a Wallach Family Military Scholarship, covering room, board, tuition, books and more: basically a “full-ride.” At least one parent must be a 10-year member of the armed forces. At Episcopal Academy, Assistant Head of School Paul Sanders reports its financial aid is entirely need-based and separate from the admission decision. He emphasizes that the school values diversity and will go to great lengths to include a promising student. There are some monetary awards, which are comparatively small. There are no merit-based scholarships at The Kimberton Waldorf School because they have no grades, explains Lisa Cordner, Director of Enrollment. Its need-based grant program serves about 30% of its students, but is supplemented by several small scholarships, generally for families who have a crisis. In summary, sending your son or daughter to private school will make demands on your family budget. But careful choices, grants and tax policies will help reduce the costs. Especially if you plan ahead, the cost can be significantly reduced. And investing in the right school for your child—the confidence and preparation for life gained there—will undoubtedly be well worth the cost, paying dividends for a lifetime. See our Guide to Independent and Private Schools Open Houses in this issue and online. Until recently, there was little tax relief for families of private school students. That has changed, however, beginning in 2018 with the new tax legislation. Other options, such as the Coverdell account (which has been around since 1997), facilitate saving for college as well as K–12. It allows a set-aside of up to $2,000 per year, can be self-directed and can be drawn down tax-free for “qualified educational expenses.” But if your modified adjusted gross income exceeds $95K—double for joint filers—you’re not eligible for a deduction. The Coverdell’s main drawback is its income ceiling. And $2,000 per year isn’t much to shelter. But, beginning in 2018, under the recently enacted Tax Cut and Jobs Act, you can put $10,000 per year per student into a 529 plan that covers education expense for grades K–12. You won’t get any deduction, and a 529 is conservatively invested, so it won’t a build a fortune. But, when you pull out the money, as long as it’s for school, its growth will be without tax. Families in Pennsylvania can deduct up to $14K per beneficiary on state taxes. At 3.09%, that’s about $430. In Delaware, there’s no deduction, but your investment will grow tax-free.